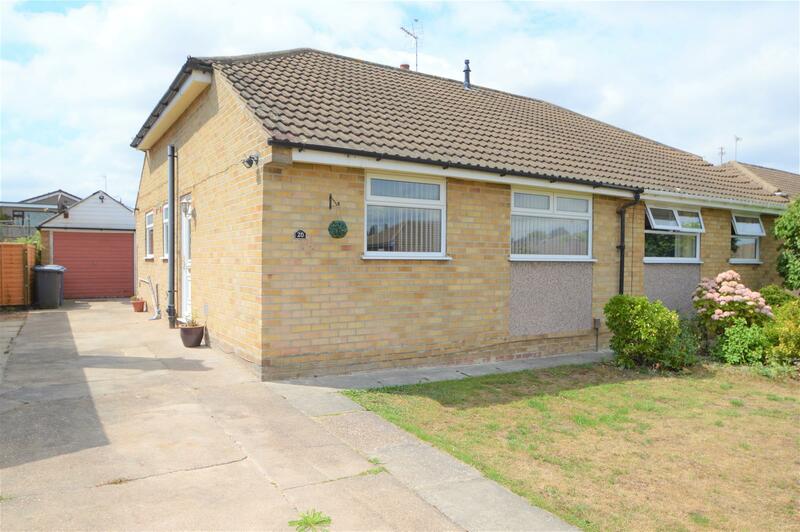 Benjamins Estate Agents are delighted to bring to market this two bedroom semi-detached bungalow in the sought after village location of Keyworth on Beech Avenue. The property comprises; Entrance Hallway, Living Room, Kitchen, Conservatory, Two Bedrooms, Shower Room, Off Road Parking, Single Garage and a Fully Enclosed Garden to the Rear. UPVC door into entrance hallway, ceiling light fitting, radiator, carpet. 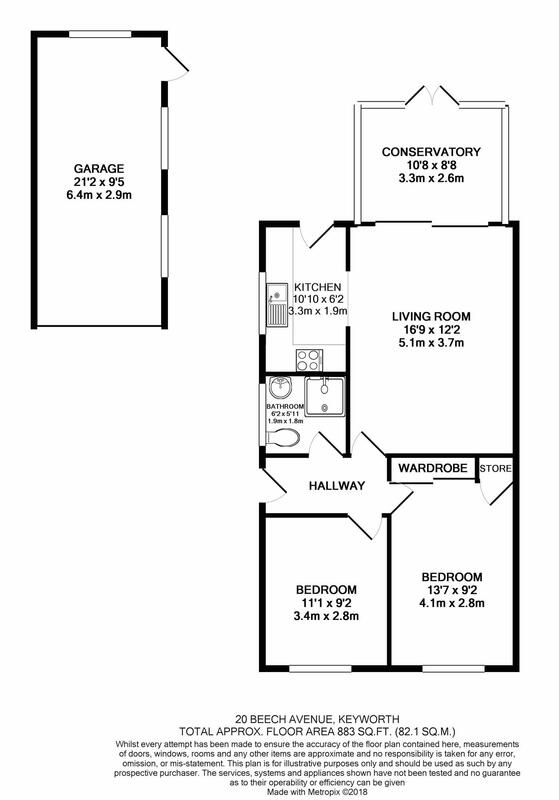 Doors off to the living room, shower room & two bedrooms. UPVC sliding patio door to the rear aspect into the conservatory, ceiling light & wall light fittings, gas fire with wooden surround, radiator & carpet. Archway to the kitchen area. With a range of base and wall mounted kitchen units, work surfaces over, single drainer stainless steel sink & mixer tap, tiled splash back, gas hob with extractor fan above and oven below, plumbing and space for washing machine, space for fridge freezer, ceiling spotlights, wall mounted combination boiler, UPVC double glazed window to the side aspect & UPVC double glazed door to rear garden. Conservatory with glass roof letting in lots of light with a fan ceiling light, double doors that open out onto the rear garden with sliding door into the living room. UPVC double glazed window to the front aspect, ceiling light fitting, radiator & carpet. UPVC double glazed window to the front aspect, fitted wardrobes with sliding doors & storage cuboard, ceiling light fitting, radiator & carpet. Fully tiled floor & shower cubicle with mains shower, hand wash basin & toilet, chrome towel radiator & UPVC double glazed window to the side aspect. The front of the property has laid lawn and plenty of off road parking down the side of the property. The single garage has an up and over door to the front & door to the rear & windows to the side and rear aspect. The rear garden has a patio space outside the conservatory with space for table & chairs and path that follows to the rear of the garage with a garden shed for additional storage. The rest of the garden is laid to lawn with fenced boarders. There are gates that separate access to the driveway and front of the garage.